I have signed a 60 day contract for the sale of my business. It’s been a very bizarre transaction. Buyer 1 – has put in 3 offers over the past few months. The first 2 offers were below what wanted so I sent the sales agent (we’ll call Agent 1) back under instruction to get the price up. Weeks would go past without further correspondence. Finally Agent 1 telephoned with a price I would accept, which I did verbally. He would contact the buyer. Buyer 2 – The day after I verbally accepted Buyer 1’s offer, Agent 2 walks in to tell me they have a buyer. I tell them I already have an offer. They asked if we have signed a contract yet. I tell them no. They advise me the sale is still on the table and would bring their buyer through. Buyer 2 spends 20 minutes walking through the complex, takes my figures and goes for a coffee with Agent 2. 60 minutes later Agent 2 returns with a signed letter of offer. Buyer 2’s offer is $25,000.00 more than Buyer 1’s. I have 48 hours to sign the letter of offer before the offer is withdrawn. Once signed a contract of sale would be drawn up. I contacted Agent 1 to advise him of the unexpected turn of events and gave him 24 hours to advise Buyer 1 and get back to me. 24 hours comes and goes. Accepting Buyer 2’s offer, I sign the letter of offer and fax it to Agent 2. Agent 1 contacts me 4 hours later. Buyer 1 would match Buyer 2’s offer. I advise Agent 1 the deals done. If this contact falls through, I’ll let him know and if Buyer is still interested, we will take it from there. This experience has reinforced my philosophy that if you want something, go for it. Do your due diligence (reasonable steps taken by a person in order to satisfy a legal requirement, especially in buying or selling something) but don’t frig around. Be confident in yourself and your ability to make the correct decision. The things we have put in place to see us off into our next life adventure are coming together. You know that feeling you have when you have planned a holiday and you’re sitting on the aeroplane with your seat belt clipped up waiting for take-off? You have done everything you can to get yourself this far. From this point it’s out of your hands. Whether or not you get to that final destination is now up to the airline, the pilot, the weather and other passengers. This entry was posted in Australia, Business, Lifestyle, Photography and tagged Buying, Contract, Selling. Bookmark the permalink. Belated, but with sincere intentions, congratuations on selling hour business. Thank you for taking the time to view a number of my posts on Elm Drive Images. I appreciate your time. My pleasure. I can’t believe I missed so many of them. I guess I should clean out my reader. There are probably a lot of blogs in there that I don’t really pay much attention to. 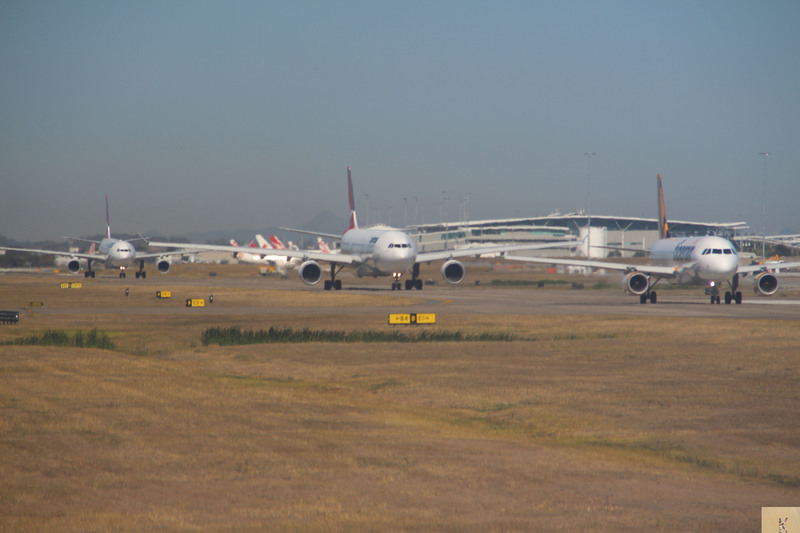 That runway is full of planes, are they back up offers or are you ready to head off on a new venture or adventure? Congrats, wading through offers like that might be a bit intimidating to others. Business has a way of doing just that. Good luck no matter what. Nice analogy Steve. My depiction would be waiting my turn to head off on a new venture 🙂 Thank you for your well wishes. Real Estate transactions can be a real roller coaster ride I’m pleased all is looking to be going well. Are you planning major travel? Good luck with whatever you do. Thank you Jet. Yes, I definitely feel jittery & excited. I’m now focusing on the next stepping stone (finishing off the house renovations) & will keep myself busy there waiting for the 60 day contract to expire & the sale of the business to be finalised.